The article by Patricia Cohen is titled “States Vie to Shield the Wealth of the 1 Percent”. By authorizing certain kinds of trusts and providing other ways to shelter assets, a state can more easily attract lucrative trust business. States can also enact LLC statutes and other laws that help protect businesses and individuals. Physicians, business owners and others who are at high risk of being sued should explore asset protection alternatives in states that provide the best protection. The New York Times article notes that when it comes to trust laws that are favorable for sheltering wealth – – some of the leaders are Nevada, Delaware, South Dakota and Alaska. The article also mentions several other leading states, including Ohio. The new law specifically states that the failure of an LLC to observe formalities relating to the LLC’s management is not a ground for imposing personal liability on a member, manager or officer. The new statute also specifically adds officers to the list of persons not personally liable for the obligations of the company (in addition to members and managers). These changes (and others in the new statute) further insulate the members, managers and officers from personal liability for liabilities of the LLC. Can you set up a trust in a state that you do not reside in? The answer is yes. You can set up a trust in a country you do not live in. As a resident of Ohio, I can establish a trust in Delaware or Alaska or the Cook Islands or almost anywhere else. There are of course a number of factors to consider in deciding whether or not that makes sense. And when you do set up a trust in a state other that the state you reside in, there can be issues as to which state law applies to the trust. Attorneys refer to this as a “conflict of laws” issue. This issue frequently arises when a creditor tries to reach assets in a trust. Section 273(b) of the Restatement (Second) of Conflicts of Laws says that the applicable state law should be the law of the state that the settlor has manifested an intention to apply. Comments to this Section says that naming as trustee a trust company of a particular state would indicate that state law should apply. Other “contacts” with a particular state would also be evidence of which law applies. There can also be “public policy” issues. If your state has a strong public policy (for example, in favor of certain creditor or debtor rights), that can become relevant in a conflict of laws dispute. For Ohio residents interested in asset protection, all of this is now much less of a concern than it used to be. We used to recommend that our clients consider setting up trusts and limited liability companies in Delaware and other states for asset protection purposes. But Ohio now has an excellent asset protection trust statute; an excellent LLC statute; and numerous statutory provisions that are debtor-friendly. 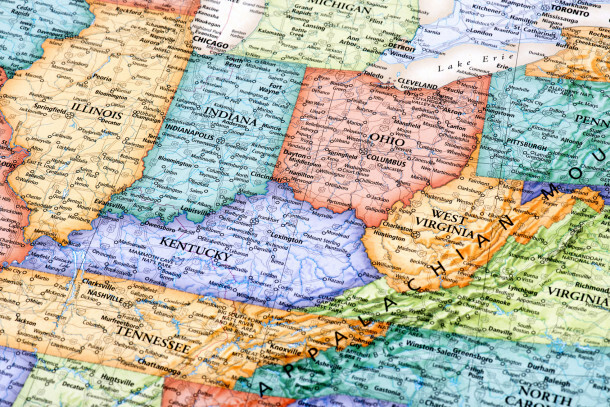 So in most cases there is currently no need for an Ohio resident to set up a trust (or an LLC) in another state for asset protection purposes. A recent article by Laura Landro in the May 10, 2016 Wall Street Journal had some interesting observations about the burdens many physicians face from malpractice suits. According to a 2013 study in the Journal of Health Affairs, the average doctor spends over 50 months — or about 11% of a 40 year career — with an unresolved, open malpractice case. While a majority of cases do not even result in payments to the plaintiff (and most do not exceed insurance coverage limits), malpractice actions are nevertheless extremely stressful for physicians. And it is always possible that a malpractice judgment could exceed insurance policy limits, thus exposing the physician’s individual assets to a judgment. My personal observation is that doctors are under increasing pressure to see more patients per day, and they are faced with increasingly complex issues, particularly with elderly patients. This can significantly increase the chance for errors. Physicians employed by a large hospital system are of course less at risk than doctors in a private medical practice. But all physicians should consider available asset protection alternatives. This post is simply another reminder that physicians have some particular reasons to focus on asset protection planning. Ohio (and many other states) offer a number of alternatives that are clearly worth considering. hen Castle and Rick Gladstone, titled “Airing of Hidden Wealth Stirs Inquiries and Rage” — illustrates some of the disasters that strike when “hidden” assets are suddenly not hidden anymore. Millions of documents leaked from a single Panamanian law firm disclosed how many very wealthy people were hiding money in secretive shell companies and off-shore tax shelters. The Prime Minister of Iceland has already resigned following the disclosures. The British Prime Minister has asked for a government inquiry; and officials in France, Germany, Austria and South Korea are beginning investigations into possible money laundering and tax evasion. There is certainly nothing wrong with trying to keep your financial affairs private. But keeping things private does not mean failing to pay applicable taxes or violating U.S. banking laws. The most effective asset protection plans are centered on taking advantage of laws that allow you to protect your assets–not hiding those assets. Privacy is of course a consideration but the key is protection. The New York Times article provides a good reminder of how hiding assets can frequently backfire. The article notes that most small businesses are family owned, and those companies frequently fail to survive an unexpected death–unless a relative or other insider is trained and ready to take over immediately. A business frequently ends up getting sold for much less than it would have been worth if the owner was there. Research by two economists—Sascha O. Becker and Hans K. Hvide–used data from Norway, which apparently keeps extensive records on companies and their founders. Their studies show that the fall-out for a closely held business was significantly worse for a company that lost a founder than for one that lost a non-founder CEO. Mr. Becker is quoted as saying that the greatest surprise for him in this study was that the negative effects of the death of a founder can continue (and in some areas even intensify) five or more years after the founder’s death. This article in the March 24, 2016 New York Times business section is simply another reminder that the time and effort spent on succession planning will very likely be worth it in the long run. Having some sort of succession plan for your business is an integral part of any plan to ultimately protect its assets. For hundreds of years, trusts have had three key players. The settlor is the person who establishes the trust. The trustee is the person responsible for the operation of the trust. And the beneficiary is the person (or persons) who the trust is intended to benefit. Recently, a fourth role — that of the trust protector — has become increasingly important. Trust protectors are a very important part of an asset protection trust. They are less common in a standard estate planning trust (but are increasingly used there as well). The settlor of the trust chooses the initial trust protector. The powers of the trust protector will be determined by the terms of the trust, and in some instances by state statutes. A trust protector may have the right to remove the trustee, amend the trust, veto distributions, and can have various other rights and responsibilities. The trust protector is essentially someone who can make sure the trust is being administered the way the settlor intended. Thus, the trust protector is literally empowered to “protect” the trust. Carefully picking the right trust protector for a trust is just as important as picking the right trustee.